In my opinion, all countries have something special. If you talk about a travel you have in mind, have you never been asked what are you going to see there? Normally, we respond with the name of a few places we have seen recommended in any travel guide. But trully I would respond it is the country itself not the particular place what I am going to visit. I love doing km through a country, wander for its secondary roads and little towns. Is in this way, with a map and a rent car (no available GPS already), like we entered to Romania a night of August 2005. We arrived to a little romanian border post by night, after a four hours trip from the Budapest airport. Our thought to take a romanian meal at our destination that night ended quick, as we hadn’t planned here distances can be doubled or even tripled. I wouldn’t say it’s not interesting travelling by night in the north of Romania, but it is surrealistic too. You can find cars parked in the middle of the driveway, people walking or riding a bicycle in the middle of the road even at 3’00 o clock in the morning, and horse drawn carts without any kind of light. All these mixed with the fact in little towns seems street public lighting it’s in really bad conditions. We pass through a lot of towns that seemed like ghost places at night. A last advice to the driver: secondary roads at north are really bumpy, without marked lanes. So be patience and take it easy. 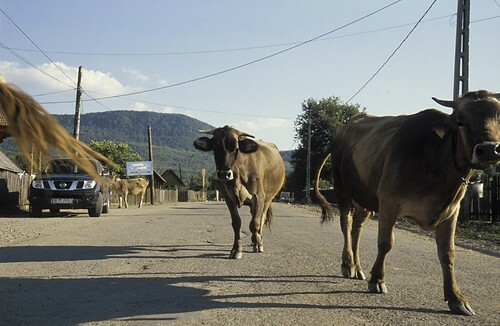 We decided to take the next route: from Budapest to Romania entering by northwest, and arriving to the region of Maramures. 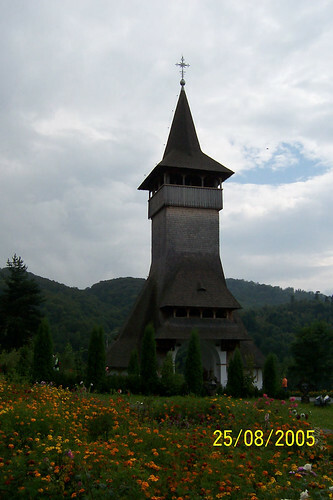 We stopped some days at Maramures and then continued towards the centre of the country, to Transilvania. 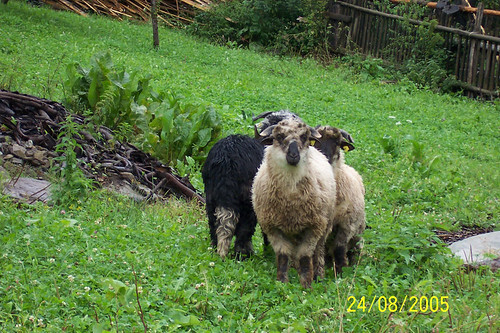 Our travel coincided with the floods in Romania in August 2005, but we were lucky and didn’t have any serious complication. 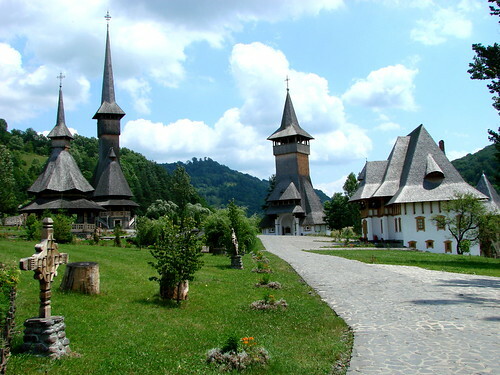 However, we delayed a day our depart to Transilvania. Apart from that, the rain we had the two first days didn’t create difficulties to us. It rained copiously at night and early in the morning, but about 10, just after breakfast, there was little rain or sometimes sun appeared. I think that the rain added charm to the travel accompanying the landscape. We really were right chosing Botiza as the point we were moving from to see the region. 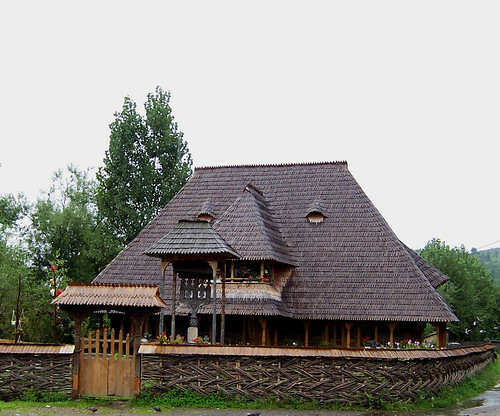 It was a little town with almost all the houses made of wood and crowned by wood or metal roofs, all surrounded with heavy vegetation; a place with a kind of creepy fairy-tale aspect. 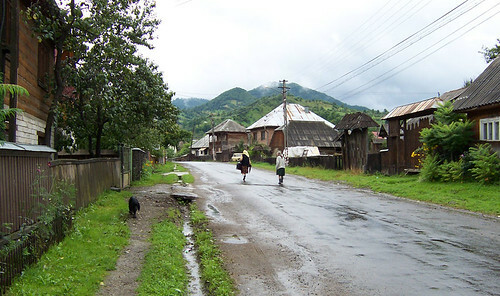 When we finally arrived to Botiza after getting lost several times, it was 4’00 clock in the morning. We were surprised with the kindness of our hosts, as they guided ud by phone several times and waited for us until we arrived. Exhausted, we accommodated in the rooms they had prepared. The rooms were in their own house, cosy and spacious, with hardly all made of wood. Next day when we wake up we were amazed with the place; maybe one of the causes it was we had been 12 hours in the road to find Botiza. The drive had been worthwile. 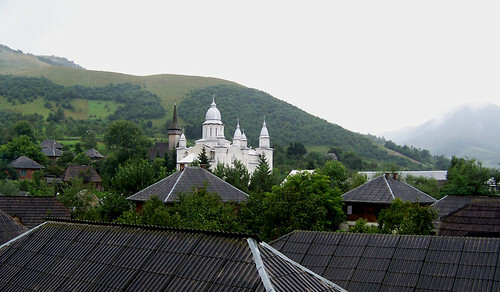 The houses in Botiza surrounded an Orthodox Church painted in white, next to which it was another church, but entirely of wood. They had creepy cemeteries around them, and all this postcard picture made me feel like if I was in a movie set. 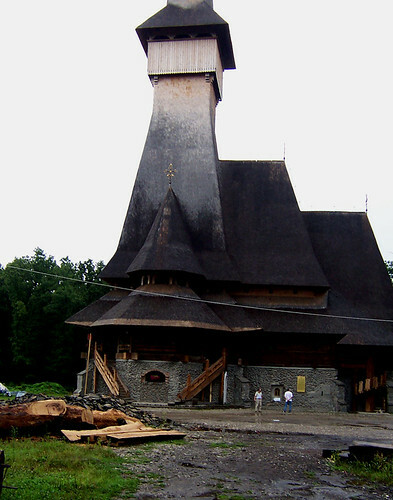 These wood churches are one of the most iconic buildings in Maramures. You could see them everywhere. The Mountains surrounding Botiza are particularly pretty. As the area is very wet, water runs all over the mountains, and the paths are flanked by dark forests. 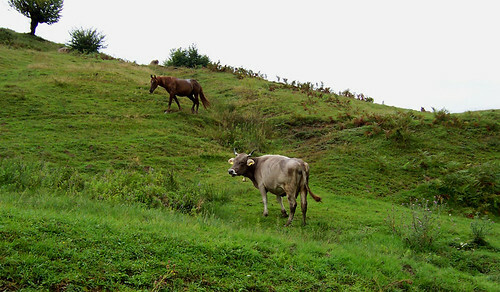 Just in the edge of the forest, the cows and horses graze freely. 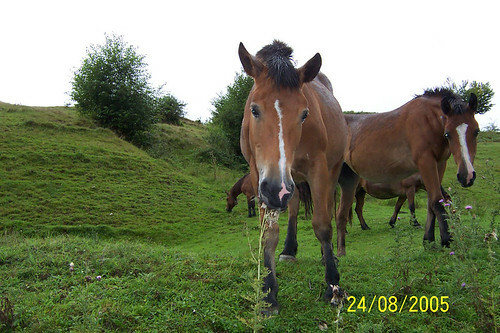 We met with these beautiful brown horses in the photo. 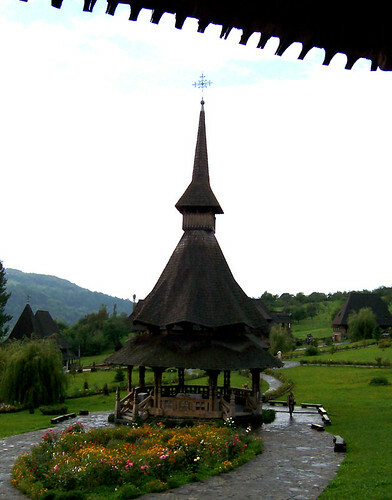 One place you cannot miss in Maramures is the Orthodox Monastery of Barsana. 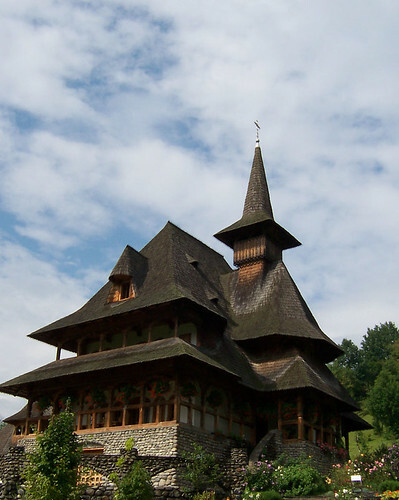 This monastery consists in a group of some typical wooden churches of Maramures, along with the houses where the nuns live. The whole place seems like an elven landscape, or at least that’s how I imagine. The buildings, combined with the environment and the gardens of the complex, makes Barsana a magical place. 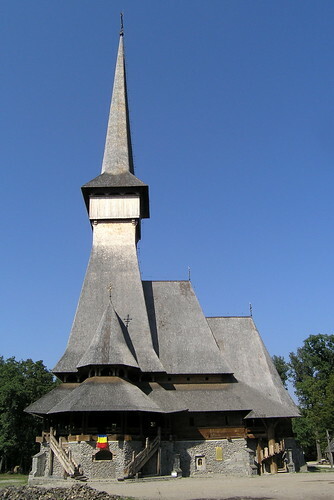 Another church it is worth a visit is Sapanta. 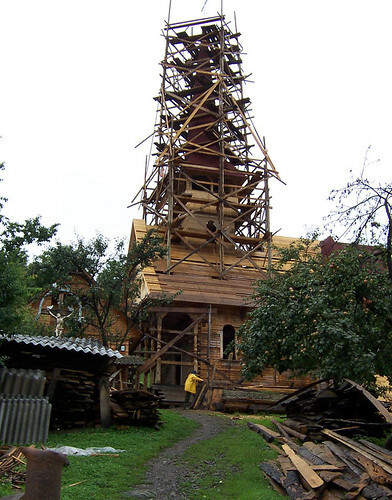 According with the strange guard watching for it, when the church were finished it would be the tallest wooden church in Europe. Although still in reconstruction, practically could be fully appreciated. 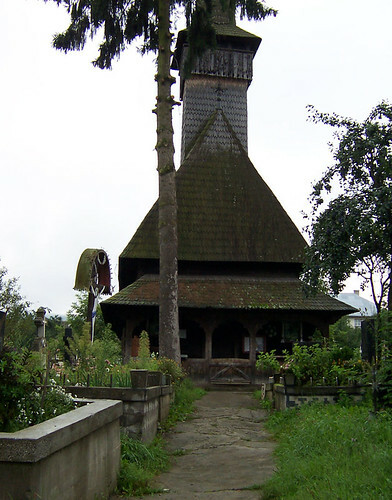 In Sapanta you can visit too a strange graveyard with a strange name: “The Merry Cemetery”. 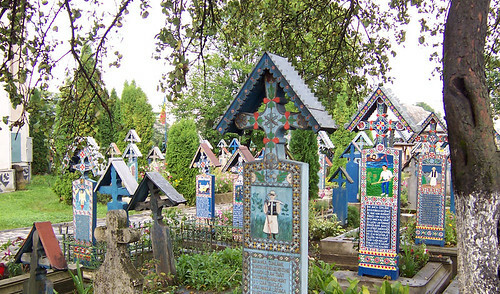 The crosses of the tombstones are made of wood painted in a bright blue color and etched with drawings of the life and death of the deceased and with inscriptions telling something about him or her. 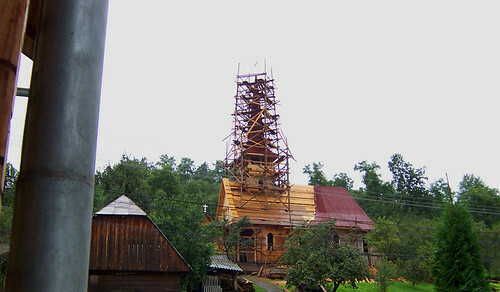 The crosses were started sculpting by the expert carpenter Stan Patras in 1934, and the tradition continues today. 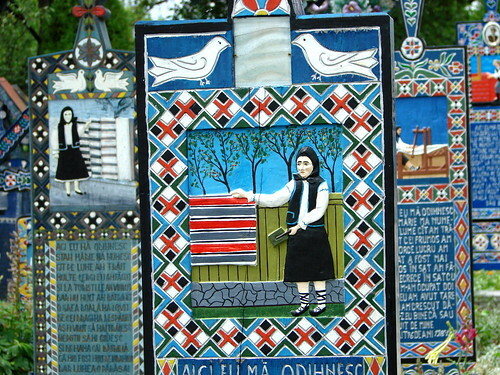 Farmers, laborers, stitchers, boys and girls… the whole community is reflected in this space. In general the place has quite maintenance, although there are some corners that would need some more gardening. The afternoon we visited Sapanta was our last in this special region. After a hearty dinner served by our hosts (toasts included) we went to rest to continue with our journey. Next stop: Transilvania!